I still can't believe we are already into June...and its only ONE month until the 4th of July. I know you're suppose to already be swimsuit ready by now...but I am far from it! #helloonepiece I have been trying to make more and more things from home lately... just to know what all is going into what I'm eating. I figure even if its not exactly kale salad I still at least have some control over the ingredients this way. So hopefully most of you have had the awesomeness that is Jeni's Splendid Ice Cream. I mean there are no words to describe...just follow the cult and go try it (obviously there is a cult following for a reason)! And while Jeni's is probably one of the best ice creams you can buy in terms of quality of ingredients.. at about $12 for a pint (which I could easily eat in one sitting if you dared me) it isn't the cheapest to keep stocked in your freezer for the upcoming HOT days! 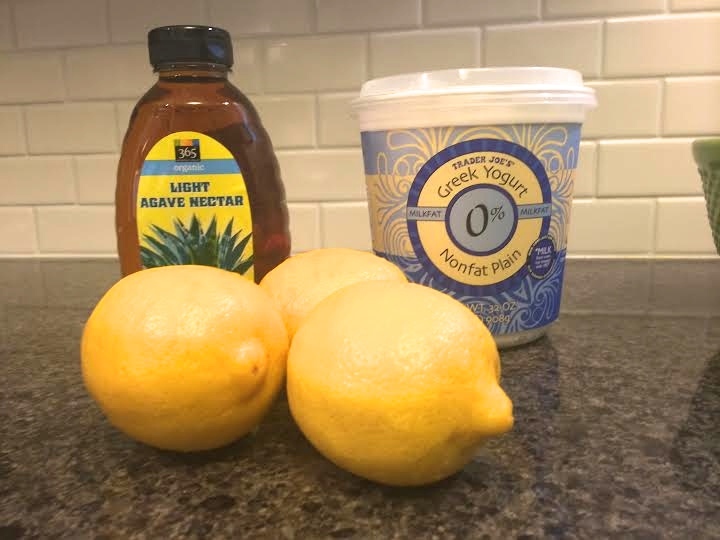 So I was on a mission...homemade lemon frozen yogurt (b/c that is my fav Jeni's flavor this time of year)....off to Pinterest and I found a recipe that is worth sharing. Best part is there are two methods to make it just incase you do not own an ice cream maker. I pulled out this classic ice cream churn...I use it every summer at least a few times. It reminds me of my grandparents and just what classic American summers should be about! 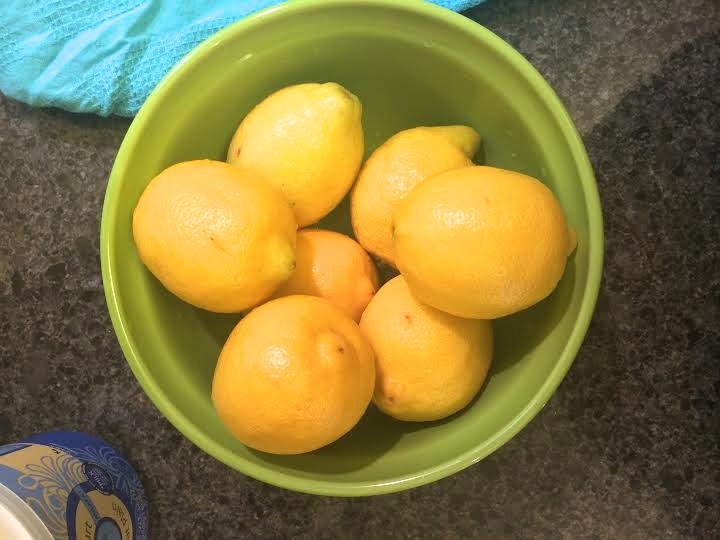 I ended up using about 6 full size lemons!..I also will probably use liquid stevia next time to help with the sugar count! In a medium saucepan over medium-high heat, whisk together the sweetener and lemon juice, and bring to a boil. Reduce heat immediately to low and simmer just until the sweetener is completely dissolved into a syrup with the lemon. Allow the syrup to cool completely in a small bowl placed over a larger bowl filled with ice and some water (called an “ice bath”). Be sure to stir while cooling. After the syrup has cooled, chill it in the fridge. Method 1: Combine the lemon zest and syrup with the yogurt, stirring until completely combined. 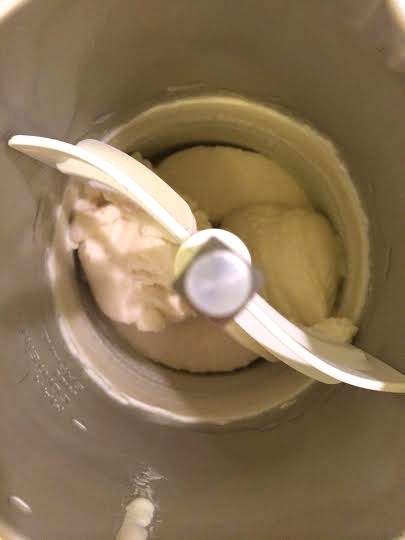 Churn in a frozen yogurt maker for 20- 25 minutes or until the yogurt has a soft serve consistency. Yogurt can be eaten as is, or for a harder texture, place it in a sealable container. Apply wax paper or plastic wrap so that it is covering the surface of the frozen yogurt, then add the lid. This will prevent ice crystals on the surface of your yogurt. Method 2: To make frozen yogurt without an ice cream or frozen yogurt maker, simply pour the mixture in a shallow container with a lid. Remove from the freezer every hour, and stir and scrape the yogurt with a fork. Repeat 2 more times. After 3 hours or so, your frozen yogurt should be ready to eat. Note: Method 1 says to use frozen yogurt maker for 20-25 min. I let the churn go for about 3 hours until I liked the consistency. Also if you do freeze in an airtight container it will still be an edible consistency for a few hours...but after that you will need to defrost a little before serving as it becomes hard as a rock! Yum!!! You then have some super tart homemade frozen yogurt! (I topped with fresh blueberries!) This would also be fun to play around with other fruits. warning: if you're not into sour/ tart things...this isn't for you! For the original recipe, nutrition info, and a link to a whipped topping go here!